Ah, California: sunshine, ocean breezes, and radioactive wasteland as far as the eye can see. This desolate coastal state was once a shining jewel, but since the Great War, the region known as New California has fallen into chaos. Which is great news! Where there`s chaos, there`s loot! 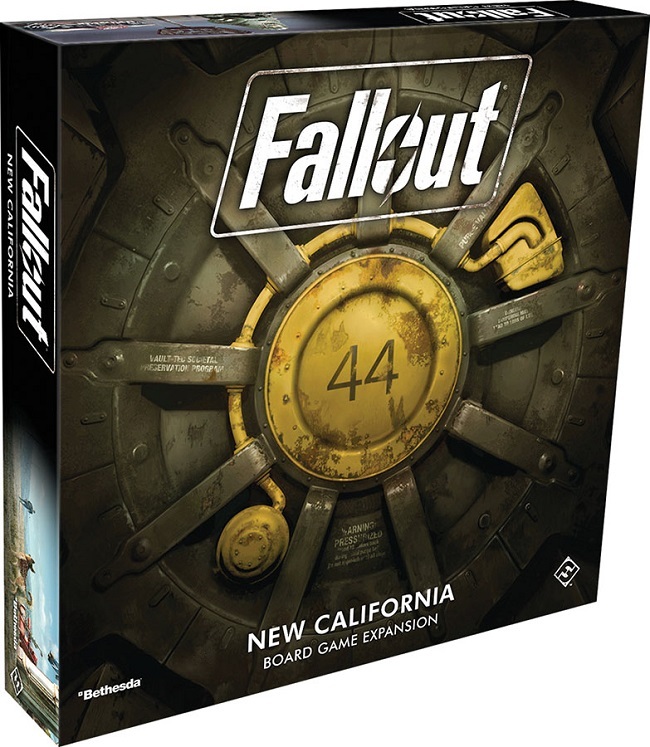 The New California expansion brings all-new challenges to the irradiated landscape inspired by Bethesda`s blockbuster video game series, inviting you to cover even more ground when you return to the four scenarios you experienced in Fallout: The Board Game or enter sunny New California in two brand-new scenarios. Along the way, you`ll encounter new companions, vaults, and items as you visit some of the most memorable locations from throughout Fallout history, from The Hole to the Lost Hills Bunker.